The sporadic and chaotic beginning of chemical reactions is inclined to make a pattern out of destruction, instead of a random scattering of debris like one might suspect. Out of this damage, a balanced and beautiful work of art is born. Nature is inclined to form perfect circles, straight lines, diamond shapes, perfectly fitting hexagonal and pentagonal pieces, out of this world colors, that spin and dance in the joy of its own beauty. The humble rain drop transforms into a symmetrical, intricate star shape that glitters in even a hit of light. Weightless and carefree the snow flake wanders down to the earth, taking its time to float in the wind, play in the breeze, bragging about its beauty before it sinks and disappears into the ground. The death of a star paints a picture full of color, movement, and energy casting an astounding sense of awe, wonder, amazement, and intrigue. 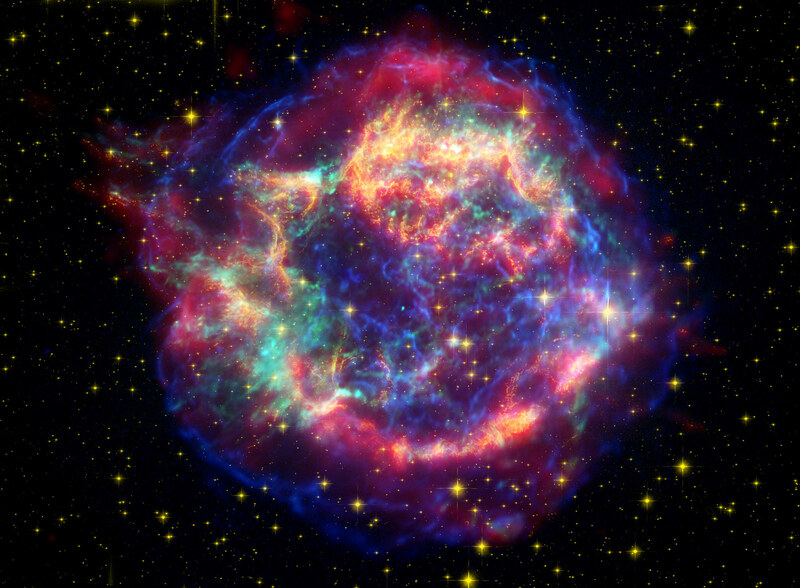 Each death is unique and beautiful, a supernova combination of intense color and 3D design bursting with some much imagination that is hard to believe that this was not the star’s intended purpose. Nature finds a way to be inherently beautiful and balanced, creating robust colors and visually appealing motifs out of ordinary circumstances. After a process that distorts, explodes, fizzes, sparks, or combust, it produces something that was greater than how it started out. Nobody questions the importance of embracing the imagination of children, promoting their fictitious games, bringing out the silliness in their perception, playing make believe and dress up, reading stories filled with cartoon characters, coloring outside the lines with mismatched colors. Somewhere, though, when that innocence of childhood is shrugged off, when you learn that life is serious and not a fairytale daydream, when you realize that life hurts, that pain can last, that disappointment is a daily task, we lose the grip of the whimsical, we forgot about imagination, we don’t believe in magic anymore. Maturing and dealing with this circus named reality is very important in not collapsing under the stress, in not giving into defeat. We need this foundation to function, but this is the base layer. After you grow up, you have to grow back down. You have to grow back into imagination, into not taking everything at face value, at challenging the world around in a creative way, to bring art into every corner. Not just because it is fun, but because it is inspiring. If you cannot imagine it, that something will never happen. Not all dreams come true, but they certainly will not materialize unless you have the mind power to form them. Playing, drawing, giggling, creating your own fairytale is important. Don’t let bills and heartbreak scare you away from the whimsical, don’t let the cold world freeze your playful thoughts, don’t let the negative weight of psychology dampen that free spirit. It’s in there, so let your imagination spring, let your daydreams wander, let your doodles fill up blank pages of computer paper.